Our Alpha-1 Course covers everything from pathobiology to optimal management to emerging therapies for the leading genetic cause of COPD. Our Guide to Portable Oxygen Concentrators will bring you up to speed on the portable systems out there today and how they can help your COPD patients get out and enjoy life despite their need for supplemental oxygen. Our Pulmonary Rehabilitation Program Toolkit explains how to maximize your Medicare reimbursement for this essential program for COPD patients. Our Clinician Training on Tobacco Dependence for Respiratory Therapists course can provide you with the skills you need to help your COPD patients achieve the number one goal in treatment: quitting smoking. Our COPD TookKit can help your patients and their caregivers develop the competence and confidence they need to manage COPD and decrease costly trips to the hospital. Three guides to aerosol drug delivery written especially for respiratory therapists, physicians and other health care professionals, and patients and caregivers will bring everyone up to speed on the operation of these key devices in the care and treatment of people with COPD and other chronic lung conditions. More COPD education is available through our regular webcasts as well. Just browse our Past Programs pages to find sessions we’ve already broadcast and stay tuned to Webcast Central for upcoming programs. And if you want to build your patient networking skills, consider getting actively involved in the COPD Foundation’s COPD360social online community. It’s a wonderful way to connect with COPD patients, their caregivers, and other clinicians like you who care about people with this chronic lung condition. 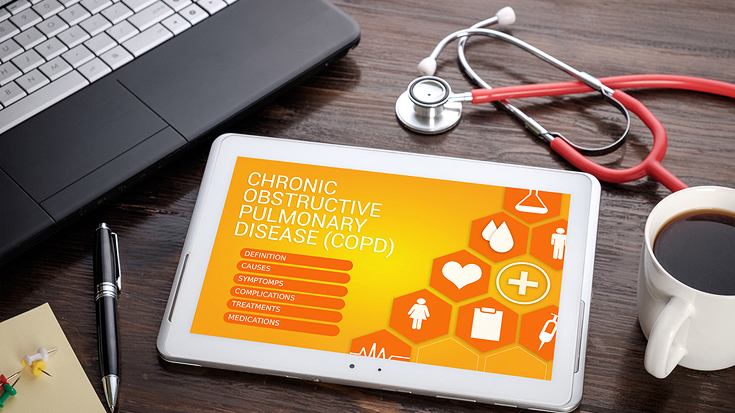 The COPD Foundation has lots of other great resources for clinicians as well (see the left hand menu for links to The COPD Praxis, Resource Repository, Innovation Center, and more). So take a look and put them to work in your practice.